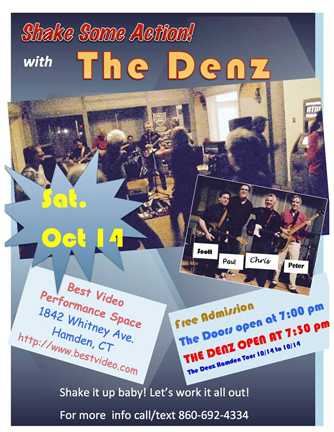 Rock ‘n’ roll covers band The Denz have rented the Best Video Performance Space on Saturday, Oct. 14, for an evening of 1960s rock, punk, and new wave tunes. 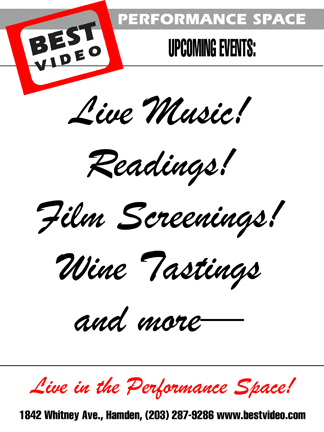 The music starts at 7:30 PM and admission is free. Come and dance and have fun. The Denz are Chris Donovan (guitar, vocals), Scott Harris (guitar), Paul Garych (drums, vocals), and Peter Terczyak (bass).